Earlier this month, it was reported that the supply of essentials and fuel has improved in Tripura because NH 208 that connects Tripura with the rest of the country has been repaired. Now we know, why and how. A post on Quora has gone viral on social media wherein a user named Pushpak Chakraborty shared an episode narrating how an IAS officer posted in Tripura got a call from Prime Minister Narendra Modi at 10pm on July 21 asking for his help to repair National Highway 208. According to his post, one of the officials from Prime Minister’s Office called the officer whose name has not been revealed in the post and was asked if he could talk to the PM for a few minutes. “His brain froze for a few seconds and he could feel his legs shivering. He meekly whispered yes and after a few beeps, the call was transferred and none other than Mr Modi was on call,” he wrote. 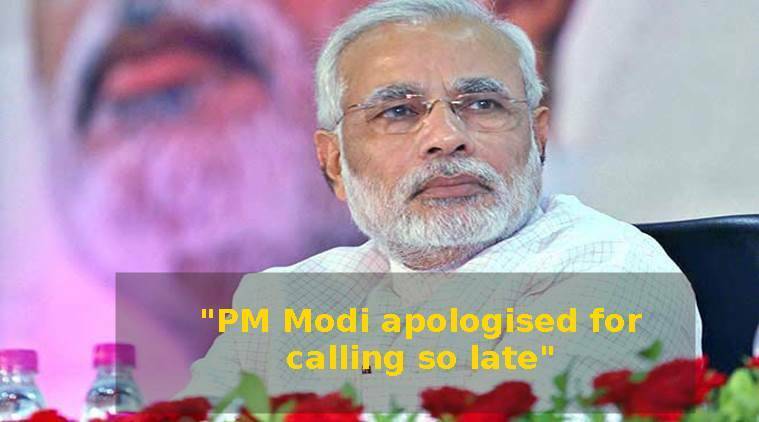 Modi apologised for calling so late in the night but emphasised the need of the hour. He asked the officer to help the state repair the highway because of its importance and also informed him that he government has spoken to the officials in Assam and Tripura and he’ll be provided with everything he needs. “Next day, when he reached his office, he got communications from Tripura Government, Assam Government and GOI (Government of India). He was sanctioned funds for the project to repair 15 kms of the highway. He immediately took his staff and went to visit the stretch. He found 6 JCBs (truck) standing there that were provided by Assam Government. Over the next 4 days, more than 300 trucks with materials kept arriving and along with local workers and PWD officials from Assam and Tripura, he opened the highway for vehicles with necessities for Tripuram (Tripura),” wrote Chakraborty. An IAS officer who is well known to my father and is posted in North Tripura got a call at 10pm on 21st July. He was surprised to get a call so late in the night. That’s my India with such remarkable stories of valour and I am proud of it. This story signifies how the Central Government is concerned about its people and there are numerous, I repeat, numerous such stories from across the country. Apparently, the officer couldn’t sleep all night because Modi’s voice didn’t leave his mind and he just couldn’t believe what had happened. The IndianExpress.com could not independently verify the incident.